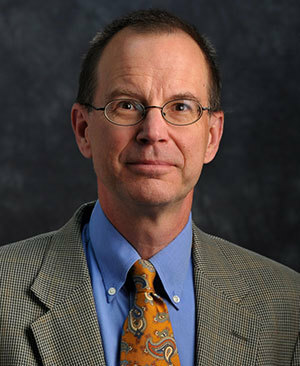 Gary Anderson, Hesburgh Professor of Catholic Theology at Notre Dame, will spend a year in Jerusalem working with an international group of scholars to better understand how early Jews, Christians, and Muslims read, understood, and interpreted the stories told in the Bible’s early chapters. Anderson is part of a team of scholars from North America, Israel, and Europe accepted this fall to conduct research at the Israel Institute for Advanced Studies at Hebrew University in Jerusalem. In addition, Anderson was one of 40 people worldwide awarded a fellowship through the Network for European Institutes for Advanced Studies (EURIAS), which supports multidisciplinary learning communities in the humanities and social sciences. In studying early interpretations of the books of Genesis and Exodus, Anderson’s group seeks to understand how Jewish, Christian, and Muslim traditions were formed—both in their similarities and their divergences—around the same stories. Anderson will focus his research and a book project on the Tabernacle story, the portion of the Old Testament that describes the building of the Tabernacle at the foot of Mt. Sinai after Moses receives the Ten Commandments. The story is arguably one of the most important stories in the Jewish scriptures, Anderson said, and living in Israel will add depth and richness to his work. Originally published by Brian Wallheimer at al.nd.edu on April 01, 2016.